Did I mention before that I work in IT, installing software for a Multi-National company? If I haven’t already mentioned it…well, I just have. 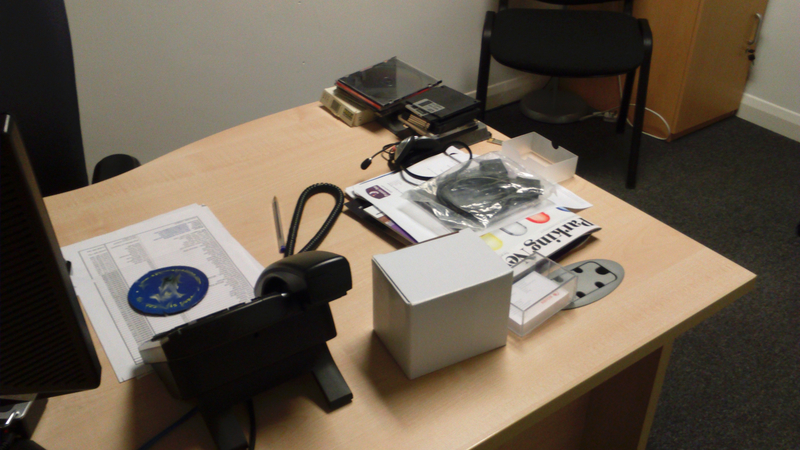 In the corner of our larger shared office is the Innovation Director’s office. It’s his job to develop the cutting edge ideas for the company to take forward into the future. 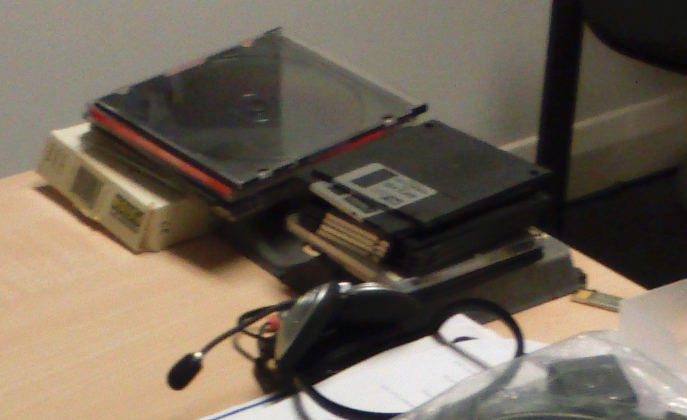 So, it was with great amusement today that we looked through his door and found a stack of floppy discs on the side of his desk. In all seriousness, I think he is doing a review of all of the old ideas within the company to see if anything from years before can be successfully re-visited now that the world has changed. It is amazing how some things can be abandoned one year and then come back into fashion at a later date. Staying in the field of IT, I enjoyed the return of old PC games on the Wayback Machine site. Those games coming back to be played sure made for a great revival. Until then, the only great revival that I enjoyed was revisiting an aged bottle of single malt whisky! Boy, me talking a lot of IT will reinforce the perception that some people have always had of me. 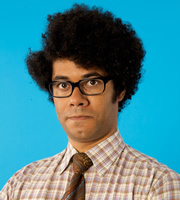 Before I’d even seen an episode, people would compare me to Maurice Moss from the IT Crowd. I think that there are worse people to be compared with than Richard Ayoade, so I was never offended. Tomorrow – and for this I should thank the internet and the nature of my job – I will be connecting to my desk computer from home when I start work in the morning. That will confuse everyone else in the office when they see me replying to internal emails but not answering my desk telephone. Why am I starting work from home, you might ask? Actually, you might not be too bothered why but I’m going to tell you anyway. We have a workman coming to our house tomorrow morning and the only promise I could get was that he will be here by 12:30pm. Maybe, I should cut a wedge into the side of my hair and say that my name is Maurice Moss. Will he get the joke?